This entry was posted in Campus Announcement, Community and tagged College of Human Sciences, women's philanthropy board on September 10, 2014 by Wire Eagle. AUBURN UNIVERSITY – The Women’s Philanthropy Board in the College of Human Sciences at Auburn University has launched a men’s auxiliary group, giving men an opportunity to show their support for the women in their lives. Known as The Phils, these men believe in the importance of “PHILanthropy” and financial sustainability; and support the work of the Women’s Philanthropy Board: striving to educate and enable individuals to become financially sustainable and philanthropically engaged. The Phils are husbands, fathers, brothers, sons and friends who are dedicated to investing in the women in their lives to become educated and enabled in financial and philanthropic matters. The men represent a variety of backgrounds and experiences in the public, private and nonprofit sectors. This entry was posted in Events and tagged College of Liberal Arts on September 4, 2014 by Wire Eagle. AUBURN UNIVERSITY – The state of Alabama’s role in the Civil War and its aftermath will be the focus of a free, public symposium at Auburn University. “The Yellowhammer War: A Civil War Symposium” will be held Saturday, Sept. 13, beginning at 8:30 a.m. in Langdon Hall on the Auburn University campus. 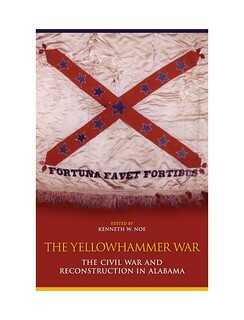 Speakers will include contributors to the book, “The Yellowhammer War: The Civil War and Reconstruction in Alabama,” which was published to mark the sesquicentennial of the Civil War and will be available for purchase at the event. Edited by Auburn University professor of history Kenneth Noe, the book is a collection of essays covering topics including race, women, the home front and even Alabamians’ reactions to the assassination of Abraham Lincoln. This entry was posted in Campus Announcement and tagged Auburn University Food Systems Institute, College of Agriculture on September 2, 2014 by Wire Eagle. AUBURN UNIVERSITY — If you want tailgating done right, there’s now an app for that. 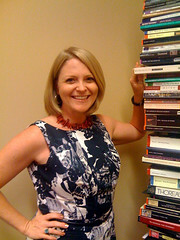 Auburn University’s Food Systems Institute has created a multimedia app called AU Tailgate Times for iPhones and iPads. The app, which can be downloaded at the iTunes store or on the Food Systems Institute website, brings together a wide range of information about the tradition of tailgating, with the focus on food and fun.